The Gadsden Purchase was signed in Mesilla on November 16, 1854. This is reflected in the Mexican name for the Purchase, the Treaty of Mesilla. A bronze plaque in the Mesilla plaza commemorates this agreement between the two countries. Following the signing of the treaty, the Mexican flag was lowered and the American flag raised. 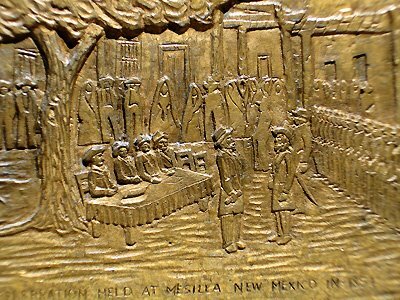 The people of Mesilla, who had previously been citizens of Mexico, became citizens of the United States. 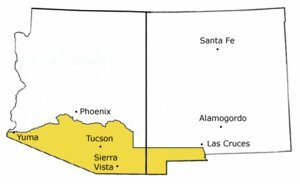 The agreements between Mexico and the inhabitants of the Gadsden Purchase area were respected by the US Government, including all land grants made by Mexico that were eventually adjudicated as valid. Las Cruces, which today adjoins Mesilla, was just outside the Purchase area, being already part of the United States.